The fixtures are out, and Argyle’s first game of the season is only weeks away. What better time to renew your PASALB membership? PASALB membership entitles fans to discount travel to matches; free entry to social events; a membership card (with fixture list on the reverse); and a travel guide containing maps and meeting pub information for all away games. We have frozen our membership prices for 2016-17, which means joining PASALB costs £10 for adults and £5 for senior citizens and fans aged 18 and under. If you signed up via PayPal last season and set up your account to make regular annual payments, your membership will not lapse. 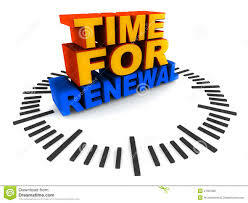 We will receive your subscription fee automatically when it is due for renewal. If you would like to sign up the traditional way, please send a cheque, made payable to ‘PASALB’, to PASALB Membership, 202A Wightman Road, London, N8 0BU. You can also join by contacting Membership Secretary Rob Preece by email.